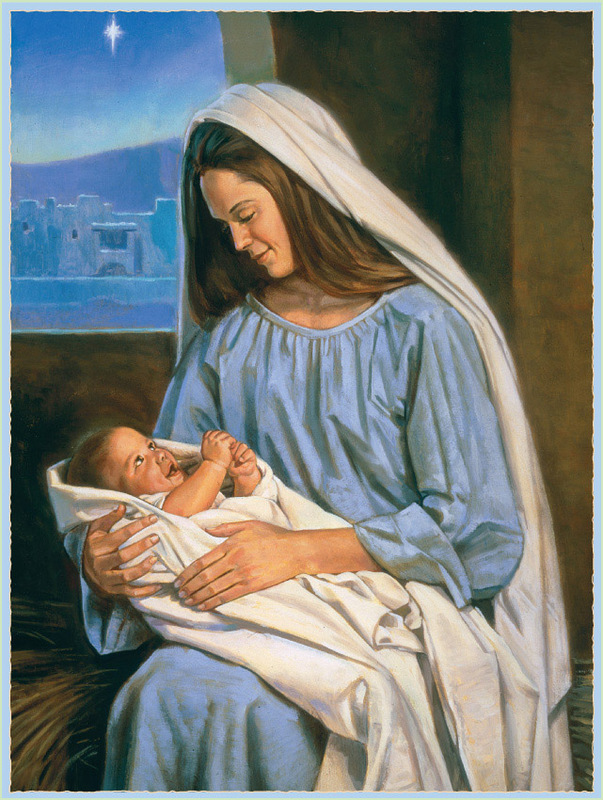 Jesus Christ was born of a mortal mother, Mary, and an immortal father, Heavenly Father. He is literally the Son of God. Because of His great love for us, Heavenly Father sent Jesus Christ to earth to be our Savior and our Exemplar. “God so loved the world, that he gave his only begotten Son, that whosoever believeth in him should not perish, but have everlasting life” (John 3:16). Mark page 106 in this manual so that you can turn to it easily. Begin with a gathering activity. For ideas, see page 3. Show the picture on page 126. Invite the children to look for the baby in the picture. Tell them His name is Jesus, and invite them to say “Jesus.” Have the children pretend to cradle a baby in their arms. Tell the children that Jesus is the Son of Heavenly Father. 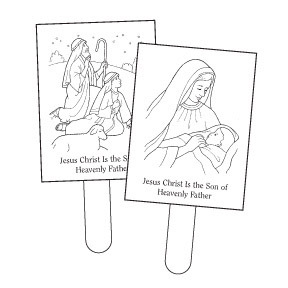 Invite the children to repeat “Jesus is the Son of Heavenly Father,” a few words at a time. Tell them that Heavenly Father sent His Son, Jesus Christ, to earth because He loves us. He sent his Son, (point to the picture of baby Jesus) a newborn babe, with peace and holiness. He sent his son (point to the picture of the Savior) to walk with men on earth, that we may know. Express your gratitude that Heavenly Father sent Jesus Christ. Share your testimony that Jesus Christ is Heavenly Father’s Son. Jesus Christ: “Everything we teach should point family members and class members to Christ. … Remember this as you prepare and present your lessons” (Teaching, No Greater Call, 80). 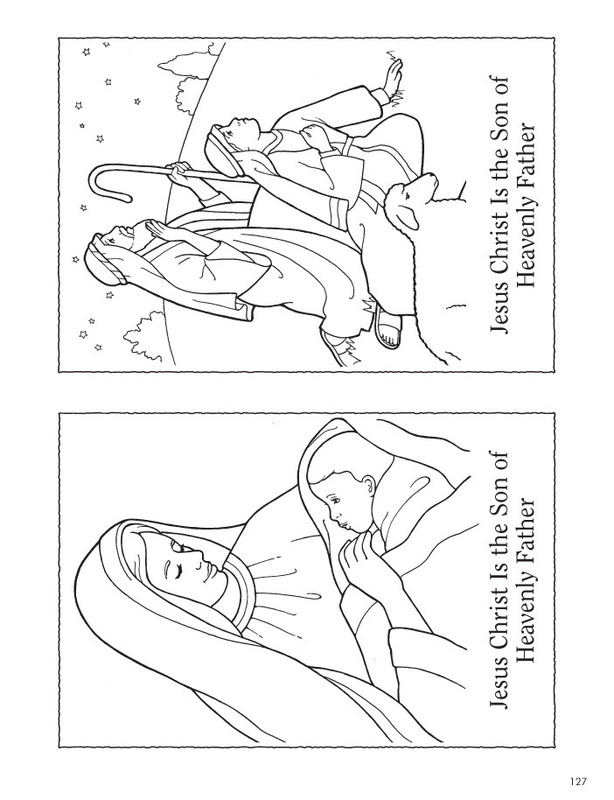 For the stick puppets: Copy and cut out the illustrations on page 127 for each child. Tape or glue a stick to the back of each illustration to make stick puppets for the children. For the scripture activity: Bring a copy of the Book of Mormon. Mark 3 Nephi 9:15 so that you can turn to it easily. Give the children the stick puppets you made for them. Briefly retell the story of the birth of Jesus Christ in your own words (see Luke 2:4–16). Invite the children to hold up their stick puppets at appropriate times during the story. This activity is especially appropriate for older children. Sing or say the following words to “Away in a Manger” (Children’s Songbook, 42–43) and improvise actions suggested by the words. Invite the children to join you. Tell the children that Jesus told us in the scriptures that He is the Son of God, our Heavenly Father. 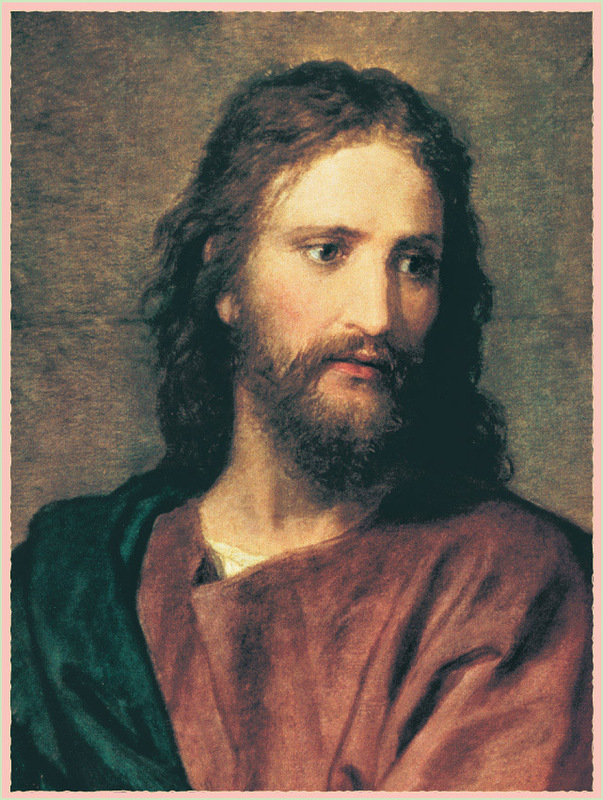 Open the Book of Mormon to 3 Nephi 9:15 and read, “Behold, I am Jesus Christ the Son of God.” Invite the children to say “the Son of God” with you. Resources: Use only Church-produced resources in the nursery class. If you need more for the children to do, choose stories, games, puppets, or coloring activities from this manual that you have used previously. You can also use games and stories from the Church magazines. Repetition: Teach all or parts of this lesson several times during the Christmas season. Children enjoy hearing the Christmas story again and again.